STPI Bhubaneswar is carrying out various regulatory services for the 100% Export oriented Units. It is acting as front end to take care of policies, approval and permission as well as an interface between industry and Govt. It offers various services like project approvals, Import approval, Bonding, Export valuation and certification for the registered member STP units. In its mission to provide single point statutory services to the industry, STPI has been successful in creating a conducive and friendly environment by providing handholding and escorting facility to the entrepreneurs to make them flourish. Software Technology Parks of India (STPI) is an organization under Ministry of Communications and Information Technology, Department of Electronics & Information Technology (DeitY), Government of India, and has been set up with a distinct focus for promotion of software and IT exports from the country. Since its inception in 1991, STPI has come a long way and become highly successful in its mission as catalyst in positioning India as the most preferred destination for outsourcing IT and IT enabled services. A fact that is aptly proven by the stupendous growth in IT exports, from Rs. 52 crores in 1992-93 to a staggering Rs. 231,284.85 Crores in 2012-13, which represents more than 80% share of National Software Exports. The above statistics reveal that Govt. of India’s vision of making India as IT super power has been very successful through STPI. The concept of Software Technology Park has emanated from the need to provide infrastructure facilities such as High Speed Data Communication services, built up space and hi-tech incubation facilities to nucleate growth of software exports. In fact, STPI have revolutionized the concept of cooperative competitiveness of the infrastructure facilities and capital equipments by the Software units in optimal, effective and efficient manner at an affordable cost. The concept has greatly helped the young entrepreneurs and Small & Medium Enterprises (SMEs) to kick start their operation with no waiting time and absolve them for making investments in creating captive infrastructure. At present, STPI has 53 centers across the country including Bhubaneswar, Rourkela and Berhampur in the State of Odisha and one more coming up at Balasore. The Bhubaneswar Center of STPI is one of the premier centers established along with Bangalore and Pune in the year 1991. Merged with STPI :: 9th of August’1991. Operation Started:: 1st of April’1992. Provides Incubation and other support services to SMEs and Start-up units. Conducts Entrepreneurial Development Programmes and specialized training activities. Participation in various seminars, workshops in association with NASSCOM, ESC etc. [C] High Speed Data Communication Services including various value added services to IT Industries and corporate houses. [D] Project Management and Consultancy Services for IT infrastructure including SWAN and other e-governance projects. Project Management and Consultancy for setting up IT Parks and other infrastructure projects on turnkey basis in India and abroad. Project Management and Consultancy for e-Governance projects including SWAN. Project approval under single window clearance mechanism. 100% exemption on customs duty on import of capital goods. Total exemption on excise duty on indigenous procurement of capital goods. Permission for importing second hand capital goods. Full reimbursement of Central Sales Tax. The sales in domestic market are permissible up to 50% of the export. STPI Bhubaneswar is carrying out various regulatory services for the 100% Export oriented Units under the Software Technology Park (STP) formulated by Govt. of India. STPI is acting as front end on behalf of the Govt. of India to take care of policies, approval and permission as well as acting as interface between industry and Govt. It offers various services like project approvals, Import approval, Bonding, Export valuation and certification for the member STP units registered under STPI Bhubaneswar. In fact, this is as part of its mission to provide single point statutory services to the industry and STPI has been successful in creating a conducive and friendly environment by providing handholding and escorting facility to the entrepreneurs to make them flourish. STP Scheme has attracted many units and entrepreneurs in the area of software and services sector. Since inception, STPI-Bhubaneswar has come a long way in promoting IT industries in the state of Odisha. Today various ranges of industries starting from IT Majors, MNCs and SMEs are operational under STPI- Bhubaneswar. STPI Bhubaneswar has made every effort for promoting and enhancing the export share from the state and the region. Over the years STPI has put new milestones in IT exports. Though there was a global recession in the market, the STP units operating at STPI-Bhubaneswar have reported software export of Rs. 1705 Crores during the year 2012-13 putting the State in a commendable position in the IT map of the country. An export of Rs. 245 Crores have been reported by SEZ units posting the total IT exports of Rs.1610 Crores from the State with a growth of 15% than previous year. STPI-Bhubaneswar has set up incubating infrastructure and provides the facility based on the member unit requirement underlying the philosophy is to give one stop and nonstop services to the software industry and consequently leaving other mundane but important aspect of operationalisation to STPI. STPI has set up Incubation Space and other general amenities especially for the Small and Medium Entrepreneurs (SMEs) at Fortune Towers and PD Market Complex. It is well equipped with all basic amenities like utility power, back up and captive power, Telephone, Security, Training aid, common reception and library which eliminate the capital investments by SMEs in facility creation. At present the Incubation facility of STPI Bhubaneswar at both the Fortune Towers and PD Market Complex are fully occupied. Un-interrupted Power Supply with stand-by Gen. Set. Recognizing the importance of efficient and reliable data communication facilities as a back bone of software exporting industry, STPI, Bhubaneswar has established international gateways for providing global connectivity. At present it handles more than 150 mbps bandwidth providing services to more than 55 customers. 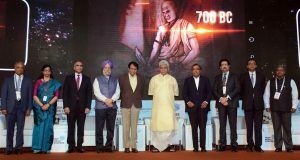 In these years STPI has proven itself as unconventional carrier catering the needs of software exporters, private ISPs, R&D institutes, corporate houses, foreign and UN establishments and various mission critical Govt. organizations. SoftPOINT – Point to Point leased lines. This facility is used to connect the leased line customers from destination in India to a destination abroad. SoftCONF – This facility is used for video conferencing across the globe. STPI has got Class “A” Internet Service Provider license. STPI formed the Strategic Business Alliance with three International Long Distance Operators (ILDOs). To provide the data communication in remote location. 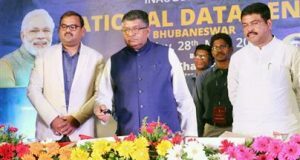 Besides its role for promoting the software exports, STPI Bhubaneswar has made every effort for spearheading its mission and propagating the scheme. In these years STPI has made various efforts to provide a forum for technological advancement by conducting series of workshops and seminars on current trend which are not only used to enhance corporate competency but also is becoming a driving force to update them in the changing IT scenario.